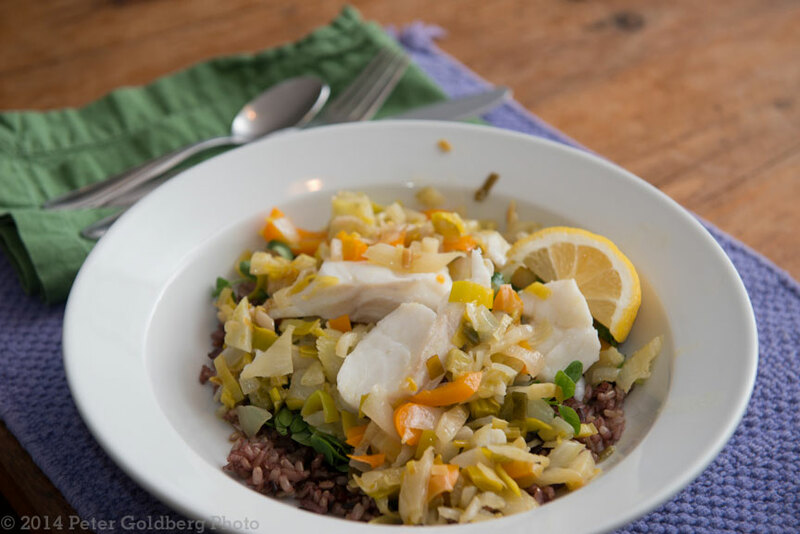 Cod with Fennel and Leeks — The Local Catch, Inc. - The Best Rhode Island Seafood! from our friend, photographer Peter Goldberg, who says his weekly supply of our fresh fish has changed his life! This is a light dish with bright flavors. The distinct flavor of the fennel and the sweet flavor of the leeks complement any mild white fish. 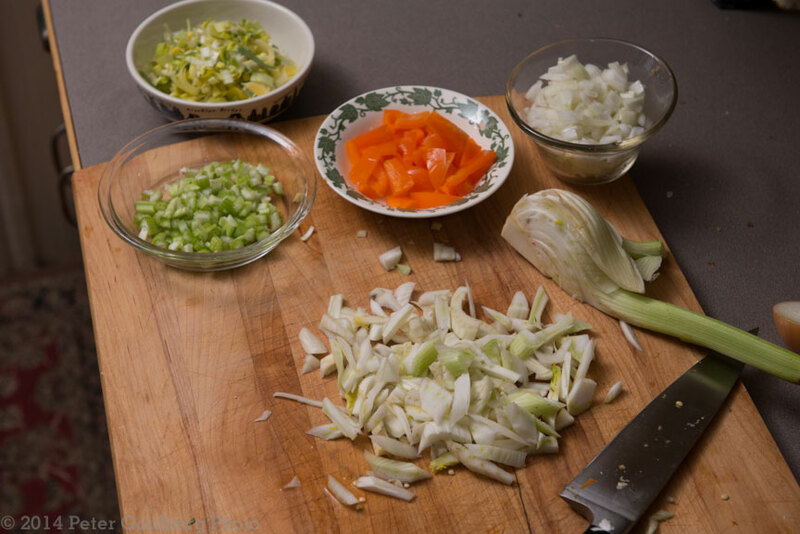 In a large pan sauté the onion, leeks, fennel and celery together in the olive oil for a few minutes on medium high heat. Add the pepper and stir for 1-2 minutes. Add wine if using and let it cook down for several minutes. Place fish on top of the vegetables, cover and cook for 5-10 minutes, checking occasionally. When it is opaque and flaky it’s done. Serve over rice or a bed of mesclun greens. Garnish with parsley and lemon. Serves 2.